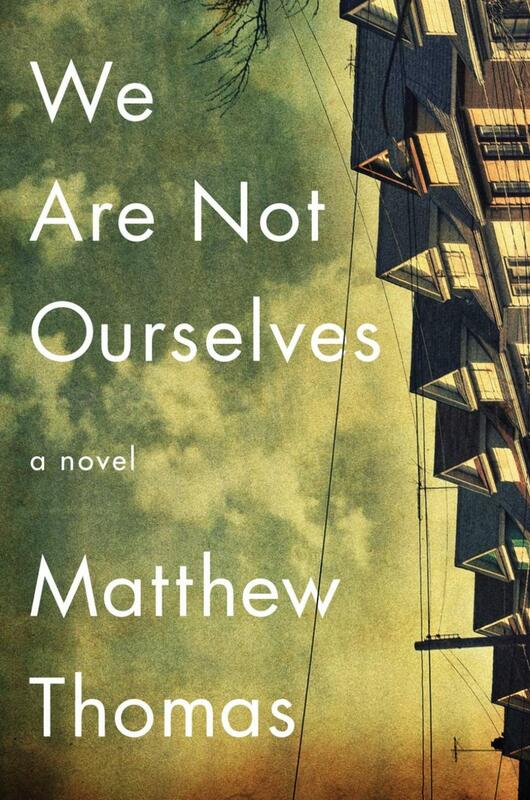 If you’ve read anything about We Are Not Ourselves by newcomer Matthew Thomas, you know it’s about Alzheimer’s disease. No critic tried to hide that fact; furthermore, Barnes& Noble’s own description of it enlightens readers about the affliction. Well, that’s about half right. You’ve probably also read that it’s a sweeping epic that covers generations of a single family. Well, that’s also about half right. What We Are Not Ourselves is really about is a woman named Eileen and her quest for the American Dream. We first meet Eileen and her parents in the 1950s. She’s a young girl. Her father is a blue collar Irish immigrant who plays role of the community pastor over a few beers after work. Her mother stays at home, then she works, then she finds the bottle. The majority of the first part is laying the foundation of who Eileen is as a person. I suppose reviews are right that this is multi-generational only in the sense that we need to know who Eileen’s parents are to get an understanding of who Eileen is as a person. In the first part (of six), we watch as Eileen strives for affection from her father as well as her efforts to get her alcoholic mother sober. Chapters are short and depict important scenes. There is little fluidity; it doesn’t have to tell one extended story though. Each chapter’s job is to give the reader a vital piece of information of the half of century that the novel covers. Because of this, there is the sensation that the story that the novel is about never starts. It is background information and character development. There isn’t a story for a long time; just scenes. That changes when Eileen grows older and marries a man named Ed. Thomas shifts focus and makes it about their relationship, but, more important, what Eileen expects from the marriage and her life. She wants a son. She conceives a child, has a miscarriage, and conceives her son Connell in a matter of 500 words. That’s what I mean when I say there is no apparent fluidity. But it’s not disjointed. There are overarching themes that tie the years together. That helps keep the story interesting. For years Eileen wants a house. She wants to move from Queens to the suburbs near Yonkers. She chases the American Dream with such adamancy that she is so commendable. She should get it too. She’s a nurse and her husband is a professor at a community college. Where she climbs to head nurse then an administrative role, he’s content with not taking offers to be the community college dean or a tenured professor at NYU. This is where Ed starts acting funny. In laymen’s terms: he’s a jerk. He becomes a scattered shell of himself and almost unbearable. I can’t tell if it would have been better not knowing the story had Alzheimer’s in it. Would I have hated Ed? Or would I have worried about him? I felt like I needed to rush to the part of the diagnosis, then the story would stop covering specific scenes, and become fleshed out. I was wrong. Instead of scenes that depicted the hopefulness of Eileen, we were given similar scenes of her dismay that her world was falling apart. If I hadn’t just seen Still Alice – a film about Alzheimer’s that I recommend that was based off a novel I didn’t read – I would have been so enthralled by the tail end of the novel. Instead, I felt these were run of the mill episodes that every Alzheimer’s story would tell. Not that I’m brushing off the horrible reality of the disease. It’s just that I had just witnessed these incidents in a sense and I don’t think I got the desired effect. Let me pause for a second to talk about a specific scene. Connell is back from college taking care of his ailing father when Ed defecates in his pants. Except the author uses crap. A lot. The scene is one of the most memorable because it’s so harrowing and heartbreaking. But also because crap was used about two dozen times. It’s only worth noting because there were many instances that the language used made it seem like a first novel. This is just the highest occurrence of it. There are many subplots that I didn’t cover, including any of Connell’s coming of age story. It comes and goes throughout the novel, but is never fully developed. He likes baseball, and so does his father. They skim the surface, but don’t dive deep. It would have been worthwhile to, but with the novel already over 600 pages, I suppose more would have hindered the overall effect. Of course, a lot could have been trimmed to make room for this aspect. If you’re looking for a multi-generational story about a family, this is almost what you’re looking for. If you’re looking for Death of a Salesman’s themes extended over 50 years instead of a single weekend, then dive right in and swim across the surface of Eileen’s life.